Dimensional Egg Basket of DOOOM! Greedy mice looking for a quick spring payout will be in for more than they bargained! The Dimensional Egg Basket Skin can be used on the Dimensional Chest Trap. The trap's stats (power, power bonus, attraction bonus, etc.) are not changed. The Dimensional Egg Basket Skin may be made available during the annual Spring Egg Hunt event and can be traded on the Marketplace or through Give To Friends. 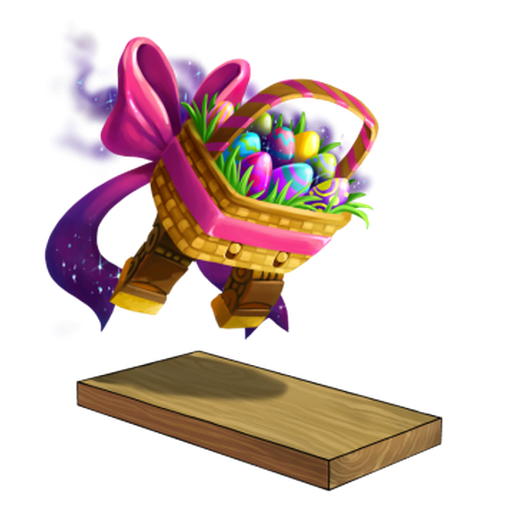 15 April 2014: The Dimensional Egg Basket Skin was released as part of the Spring Egg Hunt 2014 celebration. This page was last edited on 9 December 2017, at 11:09.